Detroit residents have seen police response times improve but comparing them to earlier reported times is almost impossible. Changes in August 2013 in what the police department considered a priority call triggered a huge drop in emergency calls – and a similar drop in response times. 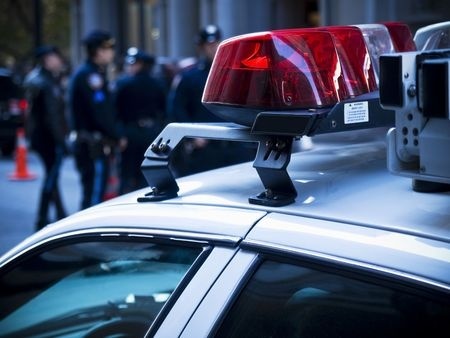 Detroit Police have reduced the amount of time it takes officers to respond to emergency calls since the city sought bankruptcy protection in 2013. How much the department has improved is difficult to gauge, however. When state-appointed Emergency Financial Manager Kevyn Orr first pleaded with a federal bankruptcy court to help Detroit in July 2013, he made his case with sobering statistics: the city’s high levels of poverty, blight and abandonment, its declining population and tax revenues, and its insane crime rate. Orr pointed out how long it took police, on average, to get to the highest-priority crimes: Fifty-eight minutes, or nearly an hour. It was partial proof the city couldn’t “meet obligations to its citizens,” Orr told the court. It was a shocking number – and one repeated by Gov. Rick Snyder, the man who appointed Orr. And in December 2013 U.S. Bankruptcy Judge Steven Rhodes used that revelation as one of many reasons he would allow the city to seek bankruptcy’s cost-cutting protection. Now, nearly a year after Detroit’s emergence from bankruptcy, Detroit Police Chief James Craig says response times have fallen below 15 minutes; and Mayor Mike Duggan, who loves data and scorecards, regularly touts the precipitous reduction with similar numbers. But internal police records reviewed by Bridge contradict Orr’s 2013 claim that Detroit Police ever took 58 minutes to answer the most urgent calls. And the department now concedes that while response times have certainly improved, there is no way to accurately measure how much they have improved because the department has twice changed the definition of what calls are considered high-priority since 2013. In the months before Orr filed for bankruptcy, weekly police records show emergency response times never hit 58 minutes, though on occasion they went over 50 minutes. For the seven months in 2013 leading up to the bankruptcy filing, the average was about 41 minutes, according to the memos. The previous year, 2012, police responded to urgent calls in about 35 minutes, the internal records show. Police records also show that the reported steep decline in response times, which began in August, 2013, happened only after the department dropped a number of call categories ‒ such as “bank alarm,” “hold up alarm” and “homicide report” from inclusion as a “priority one” call (Two other homicide report categories – “homicide in progress” and “homicide just happened,” remained top priority calls). “That’s insane, that’s absolutely insane,” said Jamie Fields, a former Detroit deputy police chief, said of some categories of calls that were no longer considered a top priority. Fields, who had transitioned to practicing law by the time of the bankruptcy, conceded that the department previously labeled too many calls as top priority, but he said some, like homicide report, should not have been dropped. In August 2013, the first month with the new priority system, police were dispatched on 150 fewer top priority calls a day, a 40 percent drop from the month before. Response times fell from around 50 minutes in July to 41 minutes in August, then down to 22 by that September, the internal police records show. The city hadn’t added hundreds of cops or cars. It had merely reduced the number of calls it considered emergencies. It was like trying to compare your marathon time to a race that was many miles shorter and flatter. Fields said the “58 minutes” statistic was designed to grab Judge Rhodes’ attention, and that it did: Rhodes cited it when he agreed to let the city enter bankruptcy. “So it worked,” said Fields, who retired from the police force in 2010 and has been critical of the bankruptcy and the police force. If internal police memos don’t show a 58-minute average, how did it end up in the city’s bankruptcy petition? This piece is part of the series “Detroit Bankruptcy: One Year Later,” presented by the partners of the Detroit Journalism Cooperative. DJC journalists continue to explore the impacts of the city’s bankruptcy, including effects on people, neighborhoods and southeast Michigan, and the case’s long-term implications. Their work, archived at NextChapterDetroit.com, continues to inform regional conversations. Orr told Bridge the numbers, first appearing in a proposal to the city’s creditors in June 2013, came from the police department. Told that internal police department memos showed response times were lower than than ‒ and much lower, on average, for the year, Orr said the broader point was the same: Response times were awful. “I think the fact stands, the number was unacceptable from a consumer standpoint,” he said. Just days before the July 18, 2013 filing, the New York Times ran a front-page story detailing poor police response and citing the 58-minute mark, bringing the city’s woes to a national audience. The claim proved a scathing indictment of the city’s inability to provide even the most fundamental of services. And to many living in Detroit, it was sadly believable: residents had long complained of the inability of police or ambulance drivers to get to emergency calls quickly, if at all. The statistic even came up at a White House press briefing, said Bill Nowling, Orr’s spokesman during his time in Detroit. Nowling contends, however, that had Orr cited the police department’s lower, internal emergency response time of just under 50 minutes in its application for bankruptcy, that number would still have alarmed. To his credit, Chief Craig said virtually from the moment he was hired in May 2013 that he did not find the 58-minute figure cited by Orr as being credible. Since Detroit filed for bankruptcy, police have made changes in how they dispatch calls, which calls take priority, and how they deploy officers and response times have unquestionably come down. Those same changes make it nearly impossible to compare current response times to those before bankruptcy. When he first became chief, Craig said the department needed to narrow its definition of what was urgent because it was handling too many types of calls as top priority. “Homicide in my view would always be a priority call, I’d never worked anywhere where homicide is anything but a priority,” Craig told Bridge. As for hold-up alarms, those too “should never have gone to (priority) 2,” he told Bridge. Once those categories were dropped, the effect was immediate. Police were responding to half the number of Priority One calls in September as they were in July. Craig said response times remained down, even after many call categories were restored, because of changes he made within the department to dispatch officers more efficiently. Indeed, since December, 2013, when many of the call types were restored to top priority status, the city has seen response times lower. According to police department records, response times fell from nearly 26 minutes down to the 15 minutes Craig cited last week. Mayor Duggan often talks about the improvement of emergency response times during his time as mayor, saying it’s one of the top questions asked of him. It’s the top concern of residents, city surveys show, and an understandable number to latch onto, especially when some Duggan initiatives, like working to lower high auto insurance rates in Detroit, have stalled. But those who research police performance note that response times can be an inaccurate gauge of police performance, not least because there is no consistent standard in how departments measure response. In Detroit, when a resident calls police, a 911 operator takes the call. Over the last four years, those calls have lasted about two minutes. Then the call goes into a “queue,” a holding place until dispatchers can find a patrol officer to take the call. When measuring response time, the city looks at all elements: when the call was placed to 911, how long the call sits in a queue waiting for a dispatcher to alert an officer, and, finally, officer travel time to the scene. Until October 2013, on average, top priority calls sat in “the queue” for over 21 minutes – nearly twice as long as it took officers to actually drive to crime scenes once alerted. But when the volume of top priority calls was reduced because fewer calls were considered most urgent, queue time plummeted and now averages below six minutes. Craig says part of the reason response times have come down on his watch are conscious changes in policy. Officers are now expected to tell dispatchers when the get to a scene (Craig said he suspects some of the long times were caused by officers who forgot to check in when they arrived at the scene and “stop the clock”). Dispatchers also now have the freedom to pull officers from non-priority calls, and even from different precincts, for more urgent ones. And though the department has fewer officers on the street than when he started, he said they’re deployed better. Craig said the department has also gotten 100 new cars, paid for by local businesses, and another 200 bought with money set-aside as a result of exiting bankruptcy. He anticipates another 100 in the current budget year. That’s created a more reliable fleet to respond to police emergencies. The bankruptcy also called for spending millions to hire new officers, as well as civilians to take over jobs – like payroll, dispatch and fleet maintenance – that were being performed by officers as a means to get more cops from behind desks and out on the streets. Craig said that transition is ongoing. But Craig said attrition – the department faces 15 retirements or resignations a month – is making it difficult to keep the department fully staffed or even increase the ranks of officers. Roughly 45 future officers are in the police academy now, he said, but another 90 will likely retire before the rookies ever get on the street. “We’re managing better, we’re putting police officers in the right places but we’re still fighting the pre-and post-bankruptcy attrition that we’re fighting to this day,” he said. Some residents have noticed. “The police, they do come out, and the response time is not as bad as it used to be,” said long-time city resident Aileen Williams, who attended the citizens’ meeting in Midtown where Duggan spoke. But if response times now are truly 15 minutes, Craig was asked what that number should be compared with before bankruptcy and before Duggan came into office. Fifty-eight minutes? Thirty? He said he couldn’t say. “I can’t go back in time and say this is the way they did it,” he said. He said he knows times are better – but can still improve. He also said he takes comfort from what he hears when he travels the city. Sandra Svoboda of WDET contributed to this report. It's not easy of inexpensive for a city and its departments to implement performance measurement/management. Quite often, a city's managers aren't up to the task (no skills, no time) or delegate it to subordinates who lack the skills and experience to do it right. There's need for leadership from the top--the mayor's office. Baltimore was once a model of how to do it right. It's o.k. for the mayor and his administration to celebrate success when there's been real improvement in performance measures. It's not o.k. and unethical to alter the measures and/or manipulate the numbers for purely political purposes. This may or may not have been done in this case. Ordinary citizens really have no way (apart from what they read/hear in the media) in knowing whether or not elected public officials and their appointees are ethically challenged. Unethical and corrupt behavior by a few elected and appointed public officials in the City of Detroit over its history have had a corroding influence on the behavior of its residents and businesses, many of whom have evaded paying their taxes. The best ones to develop such metrics are those who are delivering the performance, in this case the police who are doing the responding. The most effective metrics that are integrated into the everyday activities and provide value to those whose performance is being measured. Whenever the measures are manipulate the credibility of all involved, from those who are being measured to those tauting the number is lower, and the longer and louder those number are defended the lower the credibility. If the Mayor really cares about performance and credibility he should be asking the police in the cars what they would use and how they would use it.